Sitting in the metro the other day, I saw a girl come into the car wearing a grey hoodie that simply read “Kush”. It’s almost as if the strain has created an entirely different subculture around it, and at this point it is ubiquitous. But what is it that makes Kush so good? As a connoisseur of the herb I’ve certainly got my own reasons, but that doesn’t mean that everyone’s experience will be the same. The first thing I noticed after smoking Kush was the clarity that I got. I only took a few hits, and after about 20 minutes the old school “creeper” buzz began to set in. But I didn’t feel cloudy or stoned at all, but rather focused and alert. I suppose that’s the sativa dominant side of the bud shining through. For me, this is an ideal strain since I need to smoke something in very small quantities that doesn’t hinder my creative process or ability to be a team leader ( as a project manager) . The next thing I noticed was the really relaxed effects on my muscles. It was different from something like Trainwreck which really lays me out, it was more subtle than that. OG Kush ( and other varieties from it ) are strong in high doses and mild in low doses. 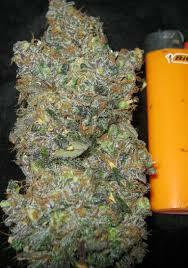 With heavy indica strains such as White Widow even small doses were too much for me and would cloud my concentration. With Kush varieties you really get a wide range of effects, ranging from medicinal uses to control anxiety in small amounts, to really trippy and psychedelic qualities in high doses.